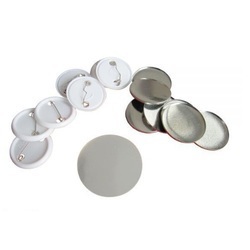 Badge Making Machine is one of the vital machinery for making the badges in various sizes. we provide you this Badge Making Machine with complete setup. You can change few die of machines easily. 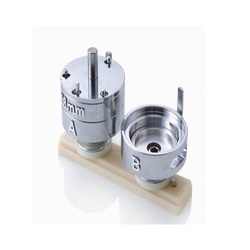 We also provide you the seprate dies for the badge Making Machine. 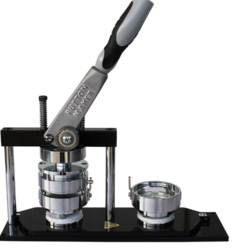 This Badge making machine is also availabe with the name plate die. i.e. You will also make Name plate badges with this machine, but for that you have to change only the die of machinery. This badge Making Machine is operat without any electric support. We offer BADGE MAKING Die 58 MM. it will help you to make the key chains or badges with minimum cost. We offer Badge Making Machine. it will help you to make the key chains or badges with minimum cost. this badge making machine will help you to earn good amount of profit at minimum efforts. We are the leading supplier of BADGE MAKING Die 44 MMmade available to our clients at competitive prices. We offer BADGE MAKING MATERIAL 44 MM. it will help you to make the key chains or badges with minimum cost. We offer BADGE MAKING MATERIAL 58 MM. it will help you to make the key chains or badges with minimum cost.